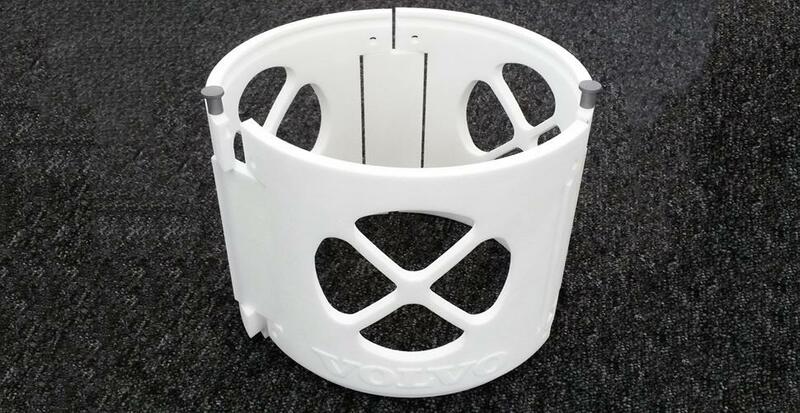 Volvo Group’s subsidiary Volvo Construction Equipment has turned to 3D printing in order to speed up and improve the proper delivery of spare parts to customers. Thanks to 3D printing, the company is now able to manufacture spare parts in much less time and much more efficiently than before. The spare parts can be produced in any shape and size and for any unit that is part of Volvo CE’s range of off-road machinery. So far, Volvo Construction Equipment 3D prints parts of a cabin, plastic coverings, and sections of air conditioning units. According to the official press release, the company can now manufacture new parts in a week and can also produce parts that have gone out of normal production by using its own archive of drawings, 3D models and product information. “The customer is getting exactly the same part in replacing plastic with plastic. We do a lot of quality assurance – the 3D parts have the same specifications and go through the same process as the original, and get the same warranty, so customers can be confident they are getting a genuine Volvo approved part,” said Annika Fries, Aftermarket Branding Manager at Volvo CE. “Lead-times are significantly reduced with 3D printing and since there are no minimum order quantity requirements, we benefit from quicker delivery of parts, lower inventory levels in our warehouses and an improved ability to balance supply and demand. And it can all be carried out a purchase price that is comparable to that of a traditionally manufactured component,” added Daniel Kalfholm, Project Leader for Aftermarket Purchasing for Volvo CE’s EMEA region. The company also uses 3D printing to manufacture new components for prototype machinery in its research and development site. “As we only need to produce low volumes of parts for prototyping, it’s a good way to see what works,” says Fredrick Andersson, Development Engineer for Wheel Loaders Powertrain Installation at Volvo CE.